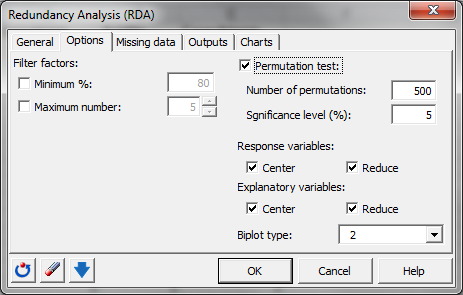 Redundancy analysis (RDA) is a technique used to explain a dataset Y using a dataset X. 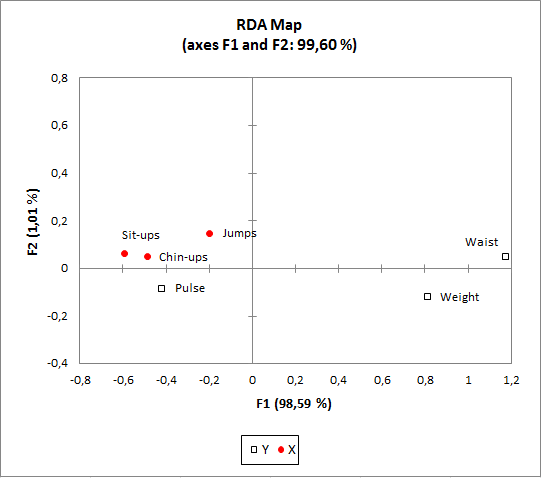 Run RDA in Excel using the XLSTAT add-on statistical software. Let Y be a table of response variables with n observations and p variables. 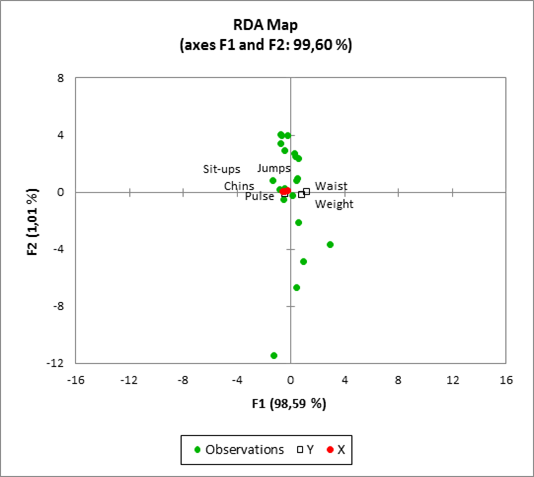 This table can be analyzed using Principal Component Analysis (PCA) to obtain a simultaneous map of the observations and the variables in two or three dimensions. 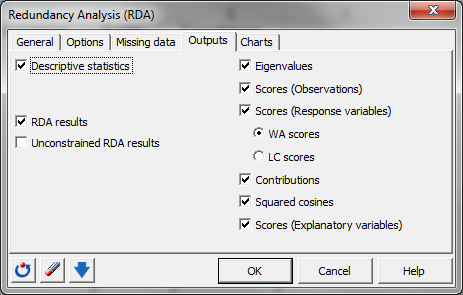 The scores of the observations, response variables and explanatory variables are displayed. These coordinates are used to produce a summary plot. 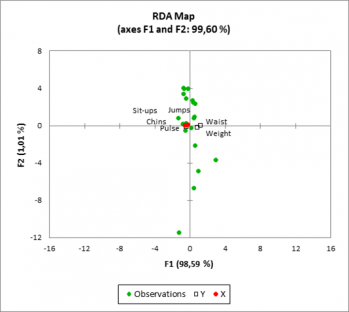 The chart allows you to visualize the relationship between the sites, the objects and the variables. When qualitative variables have been included, the corresponding categories are displayed with a hollowed red circle.